Sugar is the devil and it needs to be avoided at all costs, right? That thinking, as true as it may be, has perhaps shed some false light on the health benefits of sugar-free alternatives. Nowhere is this clearer than in the surge of diet soda’s popularity. Over the last few decades, diet sodas have been considered a healthy alternative to their sugar-filled counterparts. The zero-calorie options provide a guilt-free indulgence that doesn’t impact waistlines, or, to the best of our knowledge, come with any serious health implications. Yes, ingredients like aspartame have come under fire in the past, but the data rarely indicate actual cause and effect when it comes to disease. A brand-new study from the University of Boston is showing that people who drink diet soda daily may be three times more likely to develop stroke or dementia than those who consume it weekly or less. But before you go and dump all your “Diet Dr. Pepper” down the sink, let’s take a bit of a closer look. Like other studies, this one, published in the journal Stroke, shows an association not causation; meaning it proves that there is a link between diet soda and stroke or dementia, but does not prove that the beverage actually causes those health conditions. It also shows a very low total of stroke and dementia cases, about only three percent each. With all of that said, this is not the first study to show such an association, so when it comes to diet soda, you should exercise caution. It certainly doesn’t mean you should abandon such beverages and go back to their sugar-laden counterparts. We already know the direct health dangers posed by sugary drinks: weight gain, obesity, type 2 diabetes, heart trouble, and lower brain mass. The best thing to do is to realize that diet soda is not a health food and drink it sparingly. Even if the health risks might be minimal, they still exist and should be cause for concern. Limit consumption of diet soda to maybe one drink per week, instead opting for water and other non-sugary beverages. The artificial sweeteners examined in the study were saccharin, acesulfame-K, and aspartame. Other sweeteners like sucralose, neotame, and stevia are all FDA-approved, but should still be consumed in limited doses. 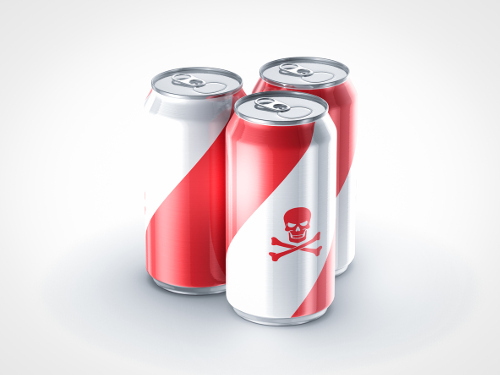 Barbash, F., “Study links diet soda to higher risk of stroke, dementia,” The Washington Post, April 21, 2017; https://www.washingtonpost.com/news/morning-mix/wp/2017/04/21/study-links-diet-soda-to-higher-risk-of-stroke-dementia/?utm_term=.9a396782e6bc, last accessed May 2, 2017.